Atlantic Puffin ( Fratercula arctica ) in the low arctic sunlight of the small Norwegian island, Hornøya, on Saturday the 4th of August 2007. Have a look at this picture. 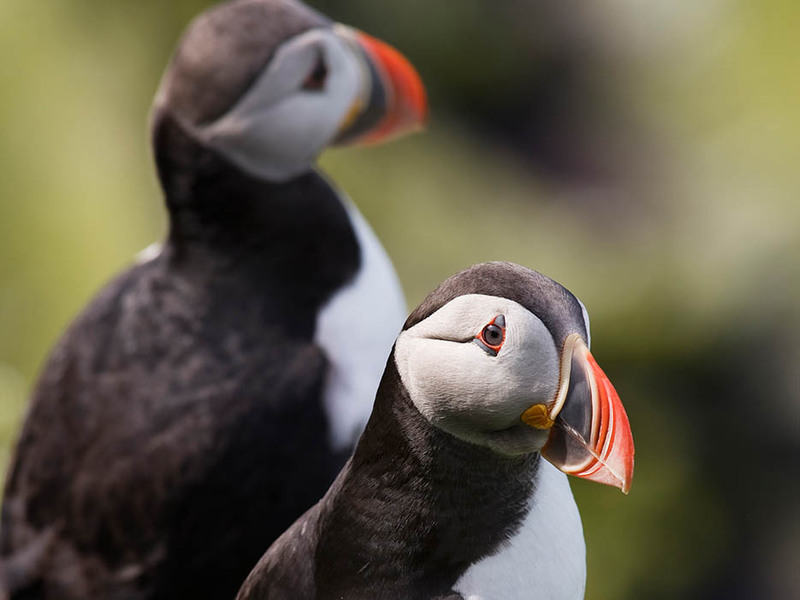 Puffins only lay one egg. Only raises one chick. Considering the amount of Sand-Eel brought to the nest by the parent bird, it must be a hungry little guy waiting in that nest. By August the feeding is about to be over with. The chick has reached its peak weight at 300 grams and in a week or so, the young little brother ( Fratercula, translates into little brother ) will step out of the burrow, out in the open for the first time and, literally in that same moment, set off. Fly away, for good. Not to return. 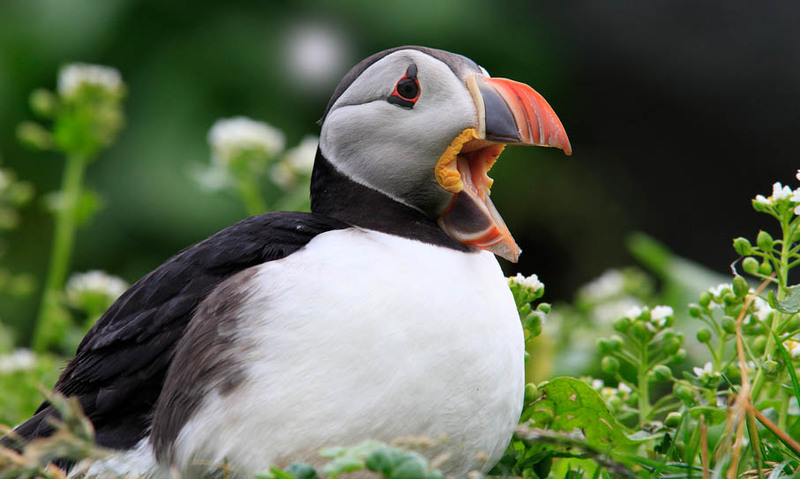 That’s how it is with Puffins. Leaving the nest, the bird will not set its pair of red feet on solid ground again for several years. Not until it four to six years later, has reached maturity, ready for the breeding. 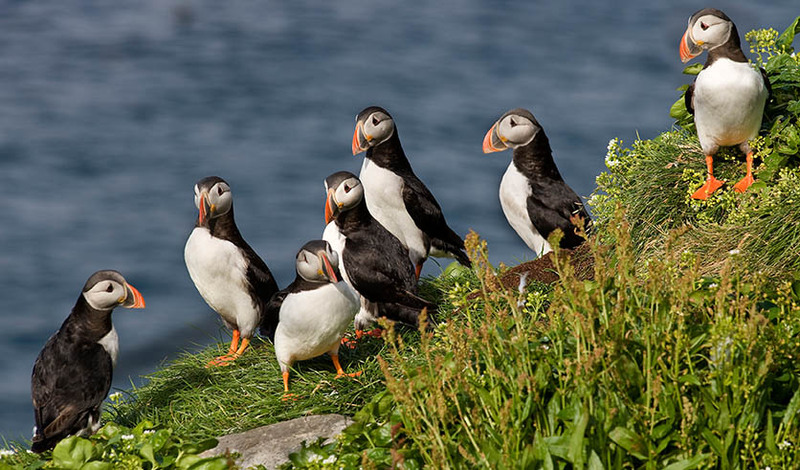 Puffins are birds of the ocean. 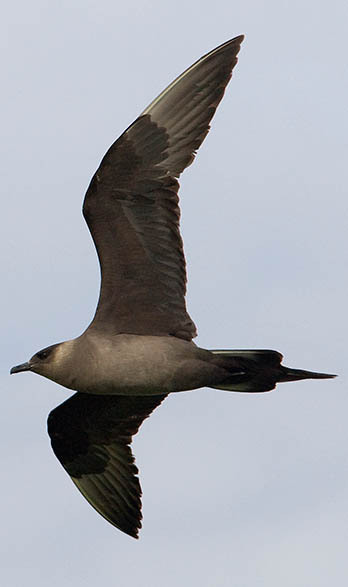 A pelagic bird. 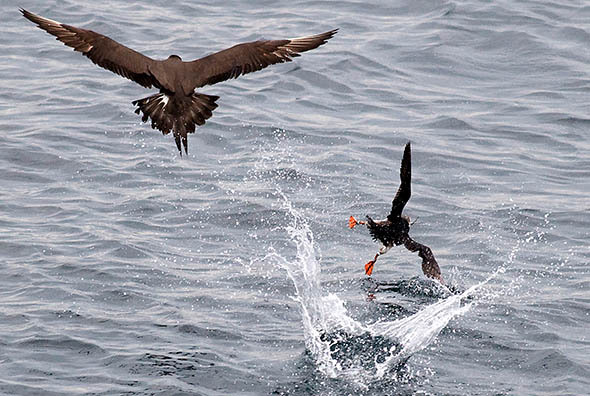 And as truly pelagic birds they spend their lives offshore, on open sea. To us that’s still a bit of a mystery, but the shape of their body, and their short and relatively small wings are obviously better suited for water maneuvers, water-flying and diving, than for actual open air flying. 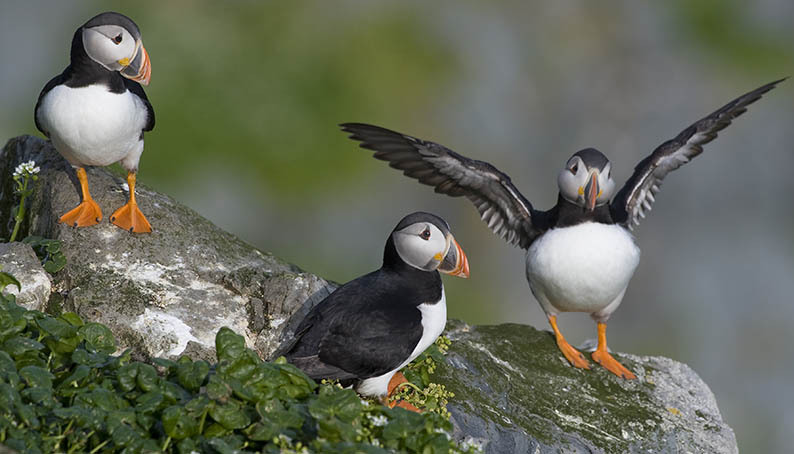 The parent-bird returning to the cliff, fish in their beak, often takes more than two attempts, before it lands safely in the grass. And then the Skuas are there as well. Catching Sand-Eel underwater, is one thing. Getting the fish from the water to the nest is yet another, maybe even the tricky part. Thanks to the Skuas. Its a struggle getting the Sand-Eel past the Skuas, safely from the sea to the burrow and the waiting hungry chick. The coastline is under the constant surveillance of a whole pack of hungry Skuas ( Stecorarius parasiticus ) patrolling back and forth above, and the instant they catch eye of a beak full of fish, they’ll attack. 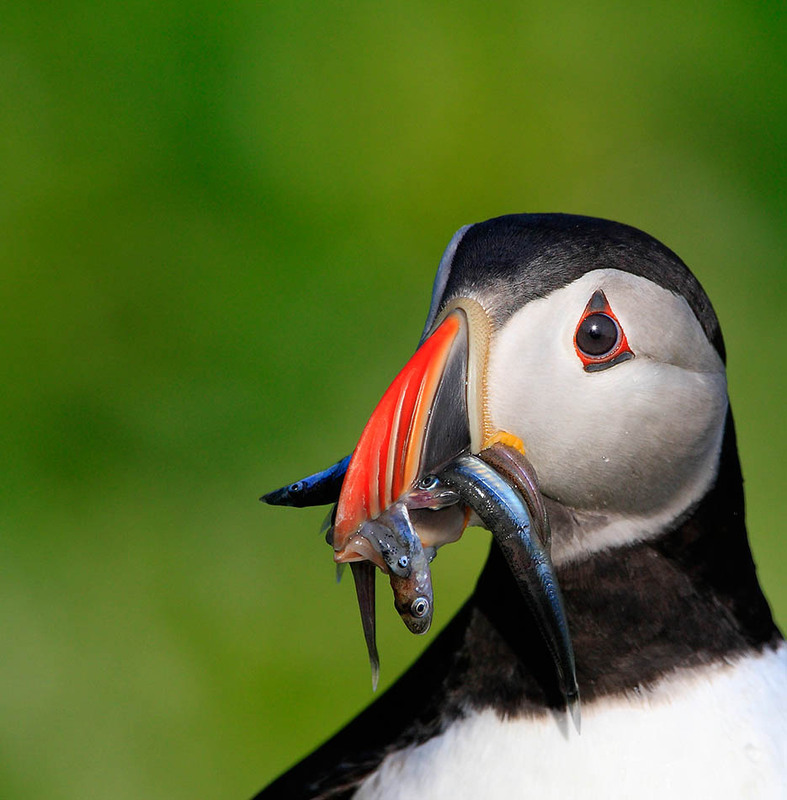 Often in numbers and stay on target till the Puffin lets go of its prey.